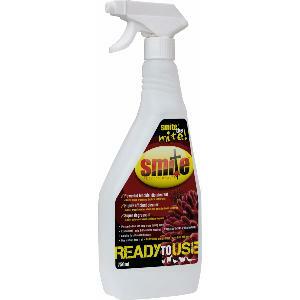 Smite Professional is an easy ready to use powerful biocidal disinfectant that kills micro-organisms, bacteria and viruses. It's a highly efficient cleaner and super degreasant ideal for removing organic matter where mite parasites breed and thrive. Pleasant odour and easy ready to use trigger spray bottle. Suitable for all animal housing. One product does it all – Smite! Clean and disinfect – save time and money.